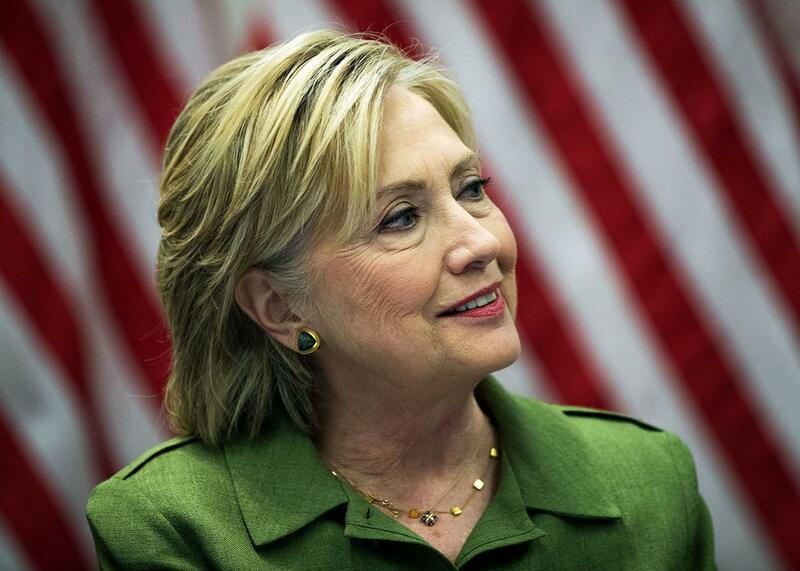 If you aren’t Hilary Clinton, a private email server is a good idea. If you aren’t secretary of state, it’s actually a really smart idea. Hillary Clinton’s private email server wasn’t such a bad idea, actually. Above, Clinton in New York City on Aug. 18. For years, I’ve been trying to convince people that there is value in having an email server in your closet. But few seemed to really get it, so I often found myself wishing for a high-profile example to illustrate why it is a good idea. That wish has, in a way, come true: The casual news consumer has had the pleasure of hearing about a “private email server” quite a lot over the past year. Let’s begin with a disclaimer. It was a bad idea for Hillary Clinton, as secretary of state, to use a private email server for official State Department business—full stop. When you hold that, or any other, government position, you should assume that all of your emails will be part of the public record. This is a good thing. If you are a member of the Cabinet, the world will eventually have its chance to pick through your inbox, be it by Freedom of Information requests, congressional inquiry, leaking, hacking, or simply declassification after 50 years. This is a good thing. Best to just leave all business on the company mail server, and talk about your daughter’s wedding elsewhere. Having stipulated that, let’s do something unheard of in an election year while talking about a nominee and leave the politics aside for minute. Let’s not talk about Hillary Clinton the politician. Let’s instead talk about Hillary Clinton as the example of a citizen exercising legal rights afforded to her by the Constitution, and how those rights were secured through self-hosting. More importantly, let’s use the Clinton email saga as an example of how you, an average private citizen, could secure those very same rights through the simple act of putting a server in your home. You don’t need a technical background to understand the broad strokes of this. It certainly helps to have a working knowledge of how email works and its history, but you can get away with just a few basic facts about the nature of email, servers, and digital security. This phrasing allows us to talk about the internet as though our data doesn’t actually exist in any sort of physical form. That’s not the case: The largest internet companies, like Google, copy your emails to a huge network of globally distributed data centers, but the actual bits are still recorded on physical storage that truly exists somewhere. Though it might be difficult, Google could in fact count the physical number of places where your Gmail emails exist. In this sense, talking about “the cloud” obscures a fact that free software advocates are fond of pointing out: There is no cloud, just other people’s computers. When your emails reside on a cloud provider’s server, the owners of that server are ultimately who decide when to let the government, or any other party, access those emails. In the case of your work’s server, those choices are made by your employer. In the case of Gmail (or any other cloud provider), this choice is typically made by the company’s legal team, based on its evaluation of the government’s demands. Most of the big companies, including Google, do have a policy of notifying users about demands before they hand over the requested data, which would give you an opportunity to assert your rights in court. However, there are many cases in which the government’s demand will be accompanied by a gag order forbidding the company from providing that notice. Most large email providers require a search warrant based on probable cause before handing over your emails, consistent with a key court ruling from 2010 in which the U.S. Court of Appeals for the 6th Circuit held that the Fourth Amendment protects the privacy of your email just like the correspondence you store in your own home. However, because the Supreme Court has never ruled on the issue, that one court’s decision is only technically binding on police in Kentucky, Ohio, Michigan, and Tennessee. Plus, the Department of Justice has never conceded the point that the Fourth Amendment requires it to get a warrant before seizing your emails and has over the past five years been one of the key players on Capitol Hill against legislation that would codify this clear warrant-for-emails rule in statute. So, when you use a centralized service like Gmail for your email, the ultimate level of privacy protection for your email is uncertain, especially outside of the 6th Circuit and especially if you use a smaller provider that doesn’t have a clear policy on the issue or may not have the best or most aggressive lawyers. Having a private server in your home side steps these uncertainties. At home you as a private individual have the ability determine who has access to your email inbox—just like you have a right to determine who has access to that box of old love letters from high school. By owning the server, all requests for data have to go through you (and/or your lawyers), and any confiscation of the physical hard drives on which your emails are stored requires a search warrant for your home. And unlike with email stored in the cloud, it will always be obvious if and when the police seize your email server. And while you won’t be able to stop the police from seizing your email if they show up with a warrant, when your server is at home, you at least know that it has happened and can go to court to try and get your server back. And while you won’t be able to stop the police from seizing your email if they show up with a warrant, when your server is at home, you at least know that it has happened and can go to court to try and get your server back. Despite these advantages to running your own server, it has become a common opinion that self-hosting email is too complex to be done securely. The implication is that without hundreds of experts, there is no way you can have a secure email server. But this viewpoint seems to rely on a “more is better” argument that simply isn’t true. With email, as with most things, “better is better.” And you can do better without hundreds of experts. Yes, there are risks to self-hosting. However with a fairly minimal server setup, a mostly default configuration, malware scanning, two-factor authentication, and automatic security updates—all of which are freely available—as well as a little vigilance on what links in email you click, most servers can be secured against all but the most heavily resourced bad actors (namely, those groups who have access to the black market of unpatched security exploits). Furthermore, as a person hosting your own server, you can still enjoy a significant network affect from companies that do have the resources to put more eyes on a problem. For example, the open-source tools that Google relies on have benefited from its research, in the form of bug fixes and patches. These fixes, in turn, end up on non-Google servers the world over. And it isn’t just Google working on these tools—other researchers provide patches that end up making everyone, even Google, more secure. This approach takes advantage of the network affect in the bug-fixing ecosystem, letting the average self-hoster benefit from thousands of hours of labor from smart tech experts throughout the world. Of course, even as vulnerabilities in server software are patched, most email breaches begin with users. This is the case no matter where your email lives or how many security experts you employ. Gmail accounts are routinely breached. Despite how good Google’s security team is, phishing attacks still work on users. While self-hosting does not make you immune to phishing attacks, it does insulate you from attackers pretending to be your email provider, which is something that even savvy Gmail users fall for. If you want to set up your own server, documents for every skill level are available. There are also projects geared toward helping low-skill users; one great place to get started is the Freedom Box. You’ll need to buy an actual machine to play the role of server, of course, but there are several kinds of cheap ($30–$100), low-power computers that will more than meet the needs of a few email accounts. Or you can just repurpose that old PC in the back of your closet. In the end, the more people who run their own servers, the smaller the targets get. If you, like most people, are not the target of state-level adversaries—as Clinton should have realized she was—you may well be better served by your own server. In a world where so many of our most personal communications are stored in the cloud rather than in our own homes, it is possible to claw back some of that data, and all it takes is a homebrew server.